So worth the wait. Now can alkazam come and write my existensialism paper for me? HAHA..i LOVE this one. brings back so many pokemon memories. 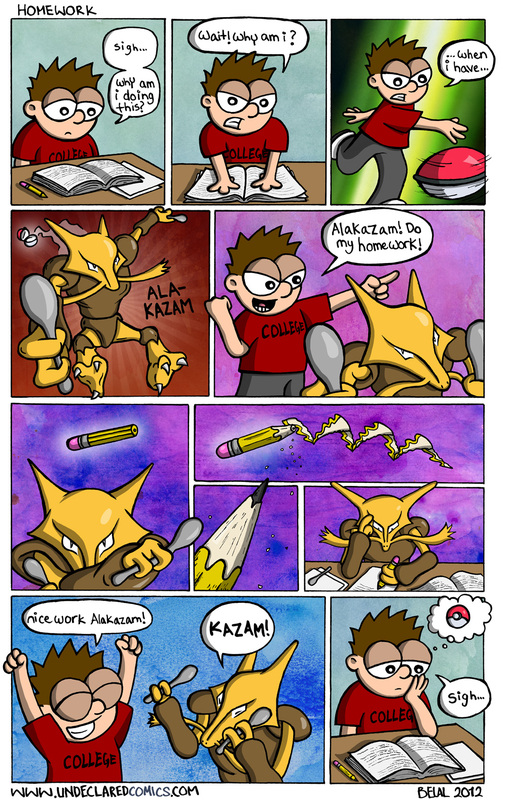 by the way, GREAT job on your drawing of Alakazam, looks EXACTLY like the original. Very Talented!! keep up the great work. It’s true! The highlights, and even a little of the ink outlines make it look very nice. Personally, I also love the psychedelic backgrounds too. This was an enjoyable change of pace. You’re WRONG dude! Pokemons are REAL!! !